Drupal has become one of the most popular open source platforms for website development. As websites move toward more interactivity and content delivery geared toward creating a unique experience for each individual user, ADHD Media expects the popularity of Drupal to grow. We also think it will start to be used by businesses that might have used Wordpress in the past or are considering Wordpress for their current website. The web applications of today look more like desktop applications especially when compared to those of 5 - 10 years ago. Drupal is one of the best at delivering a more desktop like experience when compared to other comtent management systems. Further it is designed to be highly customizable. Were you to want to move data between a website and Microsoft Sharepoint system, Drupal would be the way to go. Drupal also makes it easy to retrieve and push data to other places on the internet. 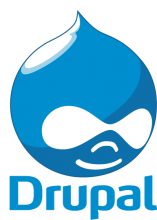 For any business that needs to handle a high volume of content, yet deliver only highly selective pieces based on a user, without a doubt, Drupal is the way to go. Probably what we like most about Drupal is the very active Drupal community of developers (we share with each other and most of it is free). The quality and quantity of free software & plugins for Drupal has become very impressive. In terms of quality, Wordpress just doesn't compare anymore. Developers love Drupal for good reason, it is so easy to modify and give your client & client's users what they want. Drupal isn't right for everyone, but when it's a good fit, the results are amazing.